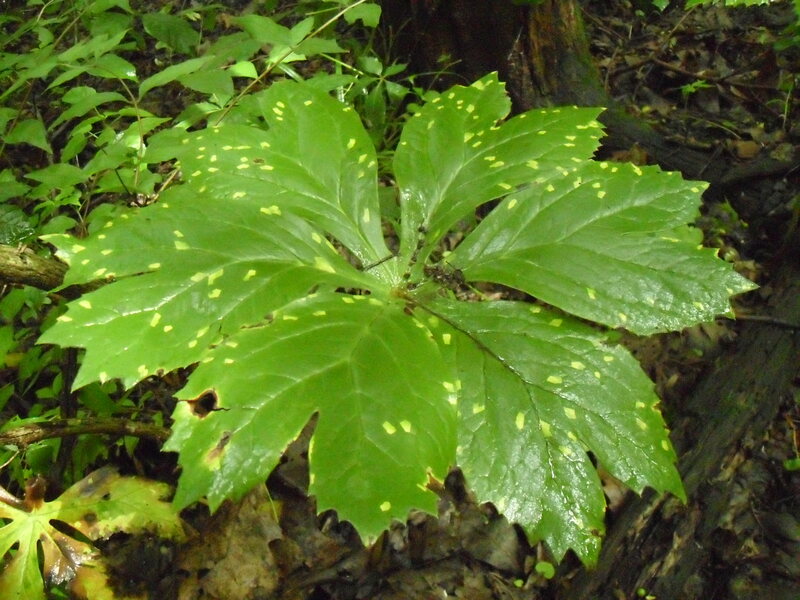 In particularly wet, shady areas of the forest, some of our mayapples have been developing a case of yellow spots. Is it a disease? A sign of stress, from getting too much water or not enough sunlight? 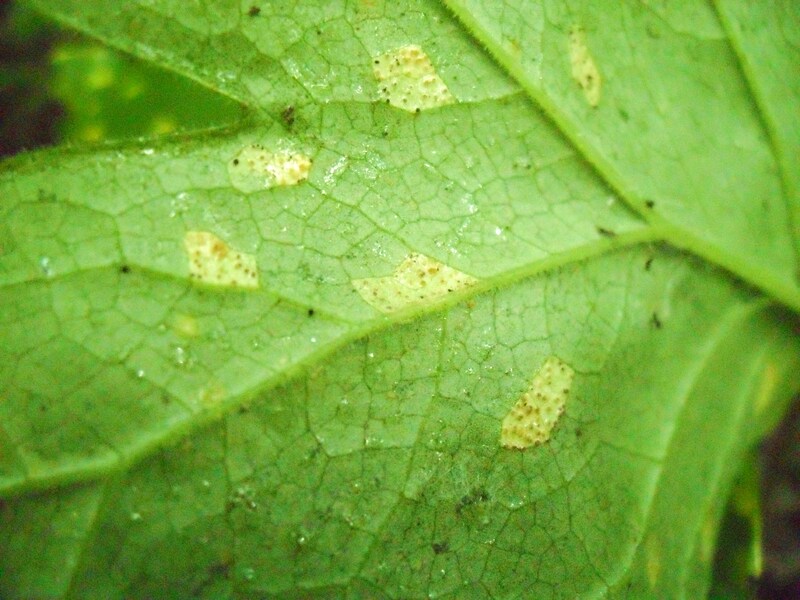 After doing some digging online, it looks like this may be a mild case of a fungus called mayapple rust. Here’s the spots as seen from beneath. 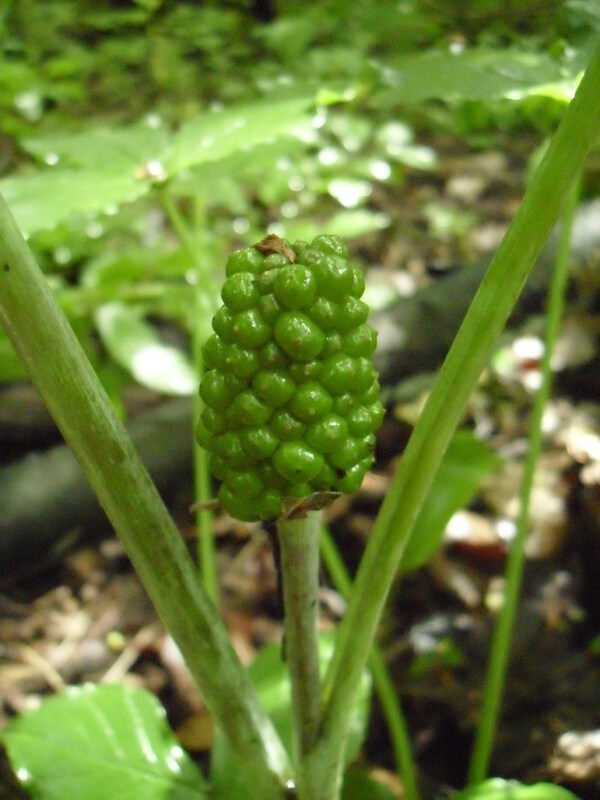 In other news, check out what the jack-in-the-pulpits look like now that they’re done blooming! 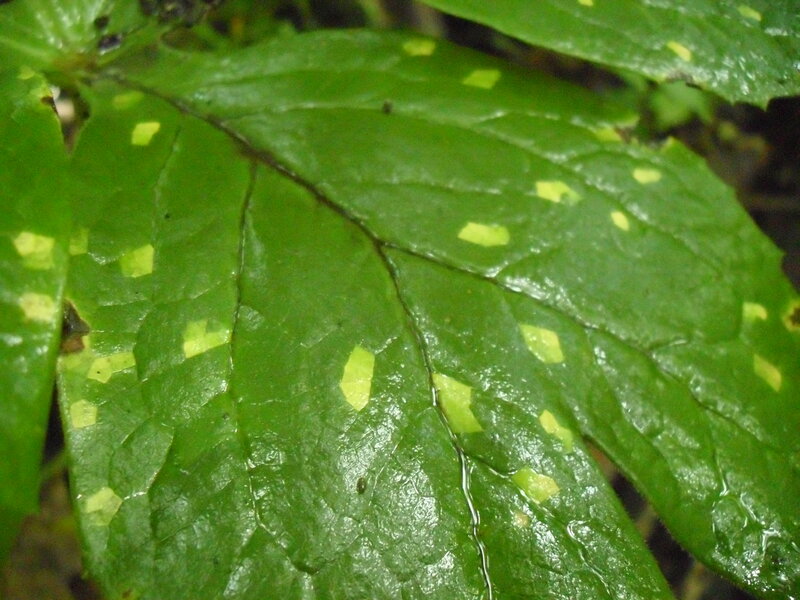 Thanks for the jack-in-the-pulpit picture. It’s really nice to see what happens after the showy flower goes away. Previous Previous post: Wolf Spider!